＊1　Driscoll I, et al. 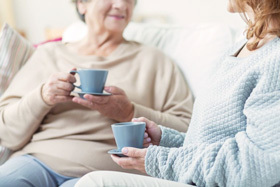 Relationships Between Caffeine Intake and Risk for Probable Dementia or Global Cognitive Impairment: The Women’s Health Initiative Memory Study. J Gerontol A Biol Sci Med Sci. 2016 Dec;71(12):1596-1602. Epub 2016 Sep 27.